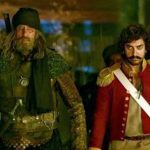 Thugs Of Hindostan 5th Day Box Office Collection, Amitabh-Aamir starrer faces Rejection! 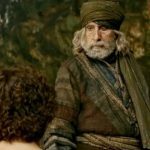 Year’s biggest Hindi film Thugs Of Hindostan is facing rejection from the audience, which can be seen easily in its falling box office numbers. After an earth-shattering opening, it showed an unexpected downtrend over the 4-days extended holiday weekend due to a negative word of mouth. 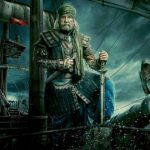 Directed by Vijay Krishna Acharya, Thugs Of Hindostan was released with humongous hype but got failed to live up to the expectations. It has received mixed reviews from the critics as well as the audience due to its weak story-line and unconvincing direction. The first film of megastar Amitabh Bachchan & superstar Aamir Khan together took a tremendous start on Thursday and registered the biggest opening of all time in Bollywood with 52.25 crores. Then on Friday, it witnessed a healthy drop in footfalls and minted the amount of 29.25 crores. 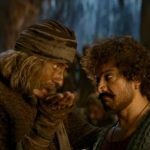 With a further decline, Thugs Of Hindostan bagged the amount of 23.50 crores on Saturday & 18 crores on Sunday. After the weekend, the total collection of the film was recorded at 123 crores across 5000 screens that included 119 crores from its Hindi version & the rest 4 crores from the dubbed Tamil & Telugu versions. Now Yash Raj Films’ production has entered on weekdays and faced an abrupt drop in footfalls in theaters due to normal working days. On Monday, it managed to collect the amount of 6 crores and raised 5 days total collection to 129 crores. With this, it has become the 6th highest grosser of the year so far.